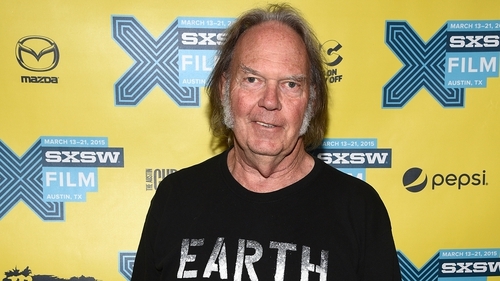 Neil Young will release the solo acoustic Songs For Judy on CD and digitally on November 30, while the vinyl edition will follow on December 14. Songs For Judy is the debut release on Shakey Pictures Records, Young’s label distributed by Reprise Records. It features 22 songs recorded in various cities. Young spent much of 1976 traveling around the world with his band Crazy Horse, often opening the gigs with an hour-long acoustic performance. He was, in fact, singing early incarnations of songs that would not be committed to tape for many years - White Line and Give Me Strength were not recorded in studio until 1990 and 2017 respectively. The song No One Seems To Know would not see the light of day until this much-anticipated release. On the new album, the legendary singer-songwriter revisits early tracks like Buffalo Springfield’s Mr. Soul and Here We Are In The Years and The Losing End from some of his earliest solo recordings. Journalist Cameron Crowe was present at the 1976 Crazy Horse gigs and travelled on a tour bus with Young. "The shows were reckless and beautiful," he recalls. "Every night. The evenings began with an hour-long acoustic solo set from Neil. The acoustic portion of the evening morphed nightly, often fueled by a smoke or two just behind the curtain. "After a break, Neil and Crazy Horse would return for a barn- burner of an electric set designed to level the place. They succeeded nightly. Just two years after the big arena explosion of Crosby, Stills, Nash and Young's 1974 summer tour, Neil was back with something even more potent and personal." Joel Bernstein was a photographer who also worked as Young's guitar technician that year. "The tour began at the Dorothy Chandler Pavilion in downtown Los Angeles on November 1, 1976, the day before Election Day. Neil started with a solo acoustic version of a powerful, unreleased song called Campaigner. "I immediately realized that making these tapes was in fact a great idea. I was soon raiding malls for whatever blank C 90 cassettes I could find along the way. "The US leg of this tour was brief - 18 shows in 12 cities, in 24 days - but the performances were at their best. intense and thrilling. As the tour continued, the cache of cassette tape grew, all of them filled with gems."